Ixion is Namisu seventh Kickstarter Project, launched in June 2017. 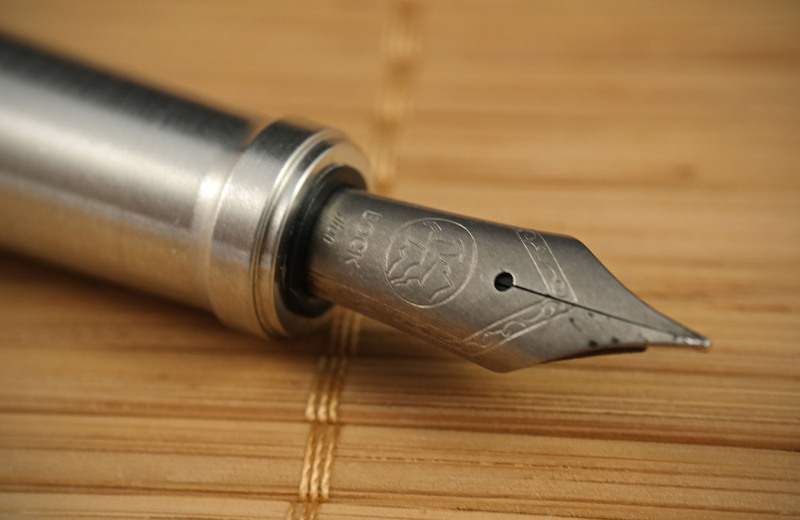 The pens were offered in three materials – aluminium, brass and titanium. Aluminium was cheapest version, titanium most expensive. 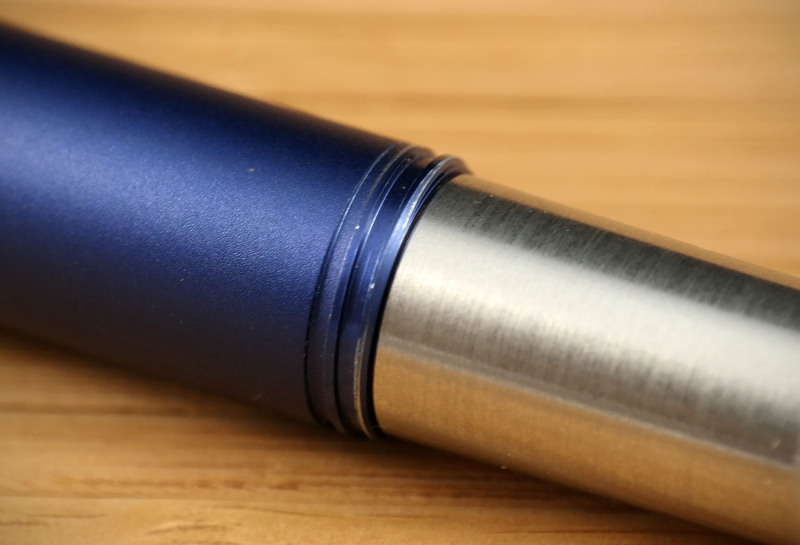 The design is quite unique, as the pen features a faceted, clipless cap, and a cylindrical barrel. 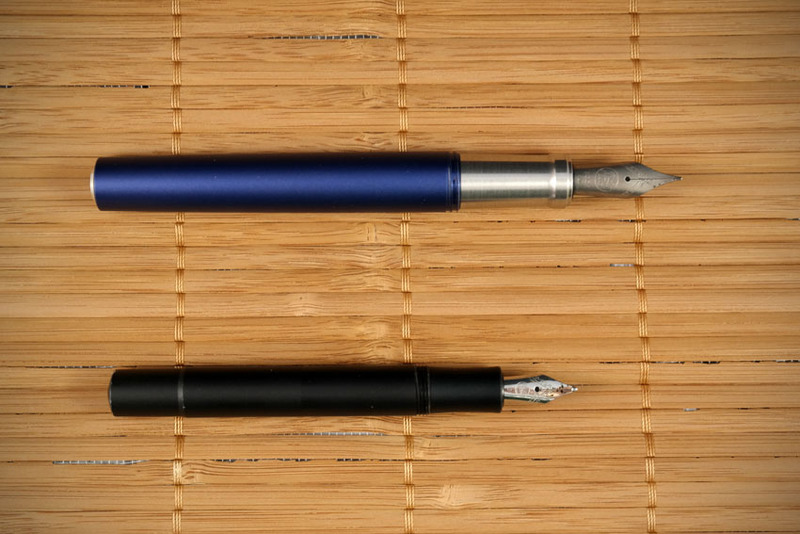 Of course, it’s not entirely new – it may be considered as slightly inspired by Kaweco Sport series. 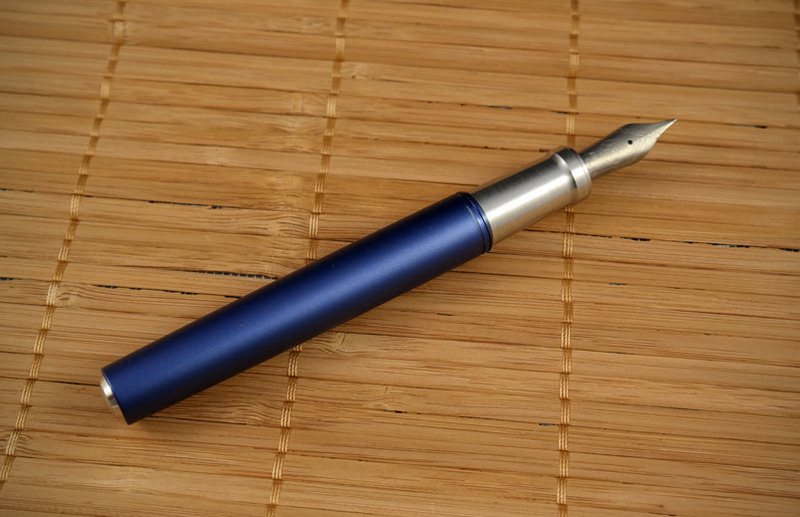 I opted for the Blue Aluminium version, with stainless steel finials and grip, alongside with a medium titanium nib. In theory, the pen was supposed to arrive to backers in October 2017, but because of few delays I received it in march 2018. I don’t really mind as I have plenty of pens to write. Also, compared to a book that I once backed, five months is nothing. The book was delayed three years. 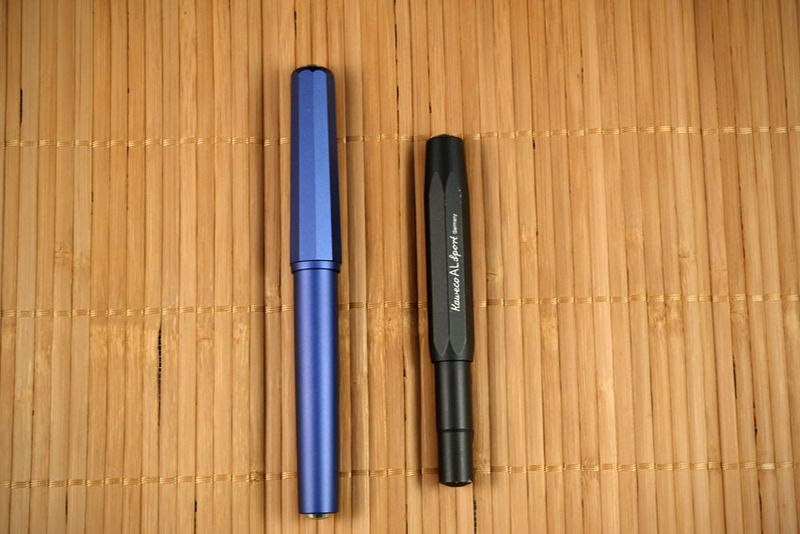 The Pen came in a plastic bag and it contains a Namisu branded nylon pen sleeve that allows to carry the pen safely. 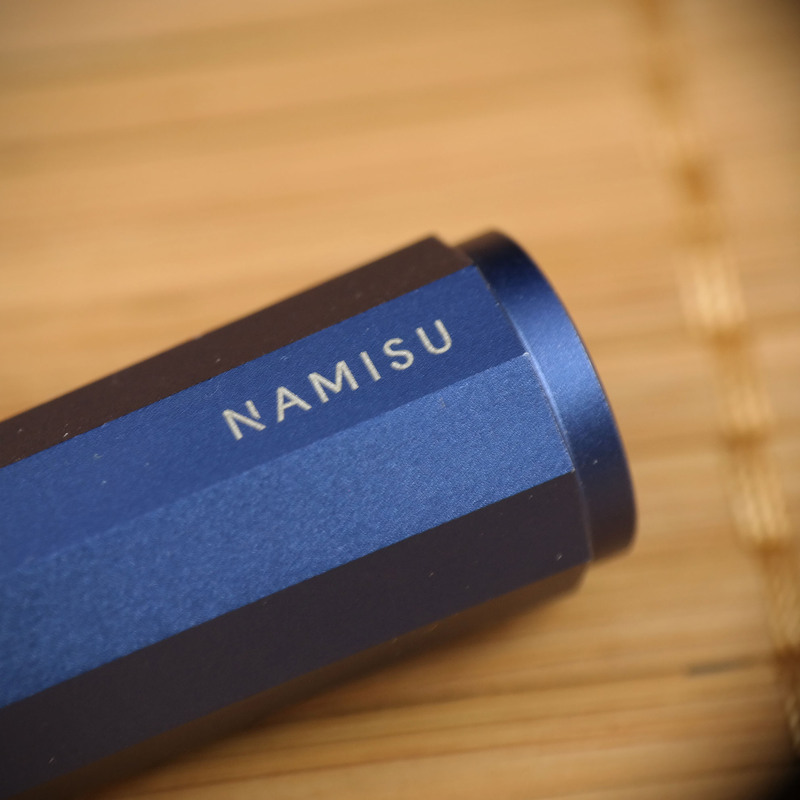 The Namisu Ixion has a clean design and the only branding is the Namisu logo printed onto the faceted cap. The cap is a screw type. It can be posted rather safely on the body of the pen. 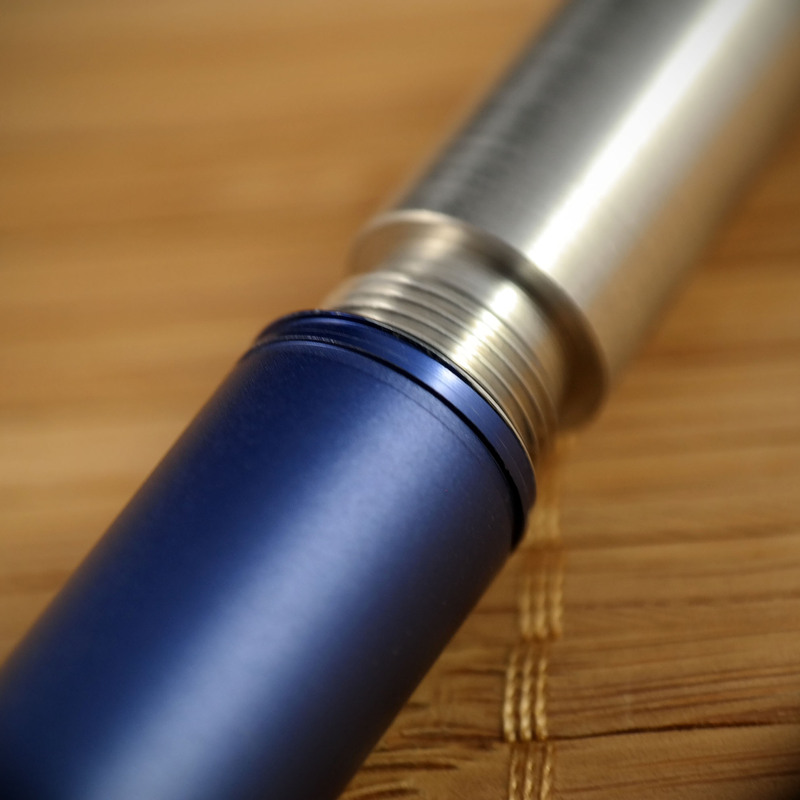 The Ixion aluminium is made of aircraft-grade aluminium with a brushed stainless steel grip section and finials. 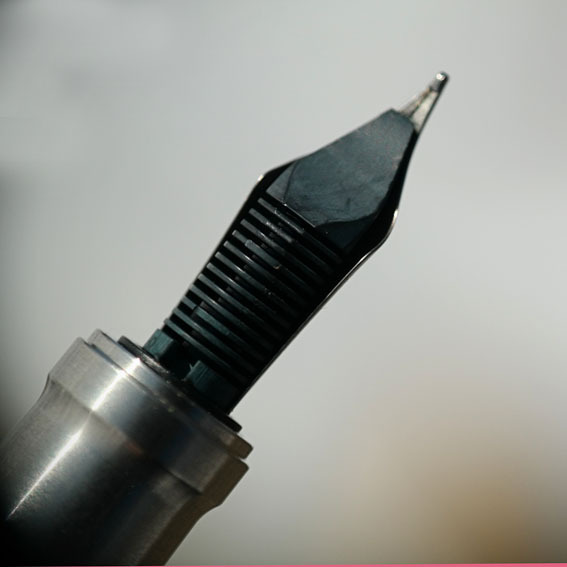 The anodising process is supposed to protect the pen from scratches. The aluminium version was available in three colors: Comet Grey, Midnight Blue and Satin Black. I got the pen with Bock titanium M nib and it’s a joy to use. It’s extremely wet, allows to get some line variation. 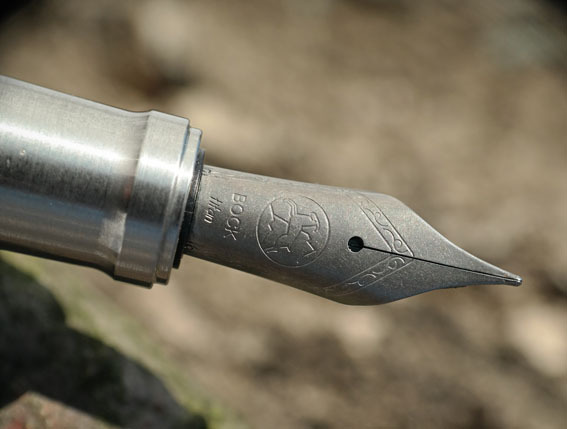 It’s a fantastic, well tuned nib. Weight – 42g, for me it’s a perfect weight. The pen feels hefty but not too much. The pen is great. Namisu Customer Service isn’t. I have no problem with delays but as a customer I expect clear and honest communication from a seller. Everyone can be busy but dropping a line on kickstarter won’t take you all day. There’s nothing worse than lack of communication from a seller, especially when customers actively look for the feedback but receive none. Overall, I think it’s a great, well made, well balanced and cool pen. Especially with titanium nib that’s a pleasure to use. 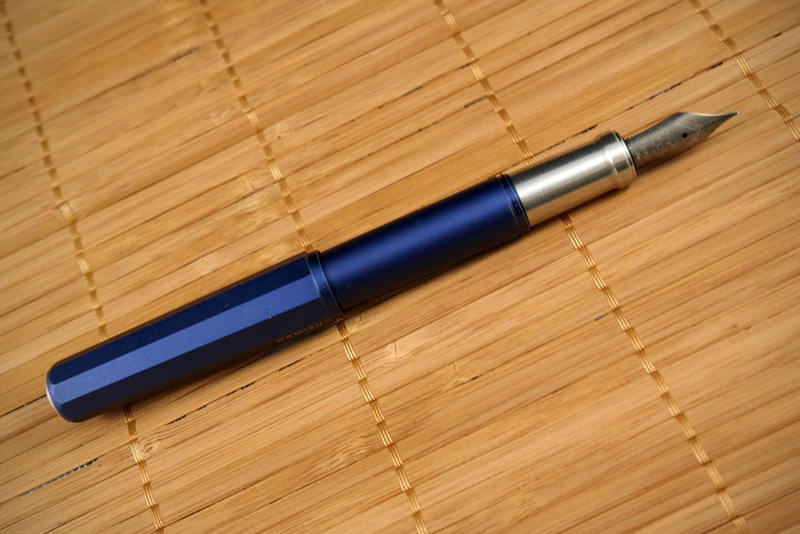 While I consider Namisu Nova to be much nicer pen (I wish I had backed Nova kickstarter project), Ixion became my new favorite workhorse. It’s not for everyone but I love the feel of the metal and the weight is perfect for me.